The world has taken to social media to show their support for Paris, where a terror attack in Paris on Friday night in at least three locations has left dozens dead. Multiple media outlets are reporting up to 60 people have been killed. An explosion in France’s main sports stadium prompted the evacuation of French president Francois Hollande, during a soccer match between France and Germany. In addition, CNN reports that at least 100 people are being held hostage at a Paris concert hall where the band Eagles of Death Metal was scheduled to perform. Thoughts go out to all those in #Paris tonight . I am so shocked and saddened by the events in Paris. My thoughts and prayers are with all the people in France. So saddened by what's happening in the world today. My thoughts and prayers are with you friends in #Paris. ❤️???? I don't wanna tweet much about Paris because I don't wanna join the ranks of half assed condolences. 140 letters will never be enough. Thinking of everyone in Paris. My heart aches. Such evil in this world. We were thinking how wonderful people are while watching Children in Need tonight and then we heard the appalling news from Paris. Sickening to hear about what's happened in Paris tonight. This isn't right and it's never going to be right. What a real life nightmare, thinking of friends and strangers alike in Paris right now. This is how scary the world is. 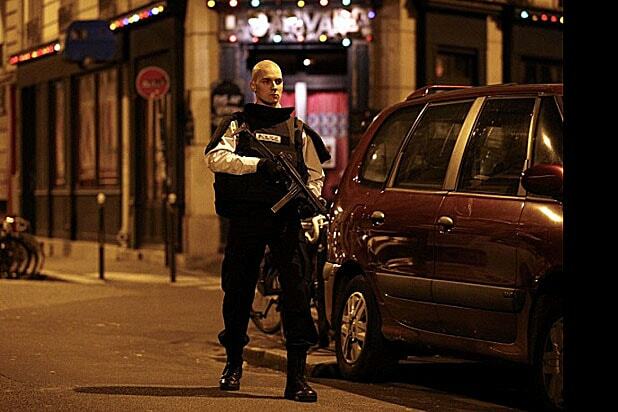 3 hours ago everything was fine in Paris. People enjoying the football/concert. Now in State of Emergency..
https://t.co/GvVdT8olu5 this was our response to the last Paris attack, in January. It's still my response, but I feel slightly sick too.